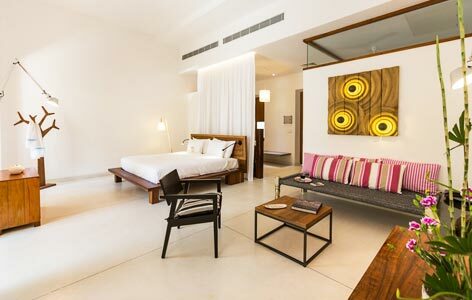 "Villa Pondicherry is one of pleasures of holidays in the former French colony along the Bay of Bengal. This villa is the creation of two French architects, Tina Trigala and Yves Lesprit. 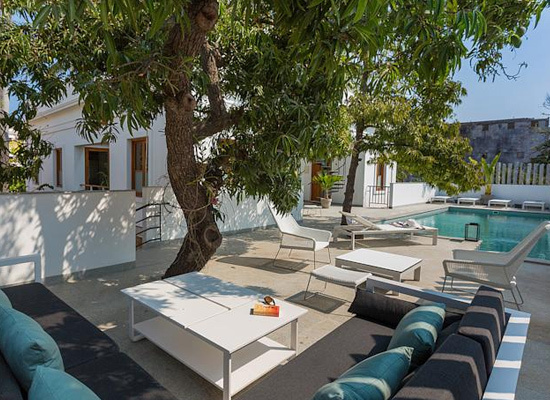 The villa is a blend of colonial charm and functional relaxing spaces for vacationers. 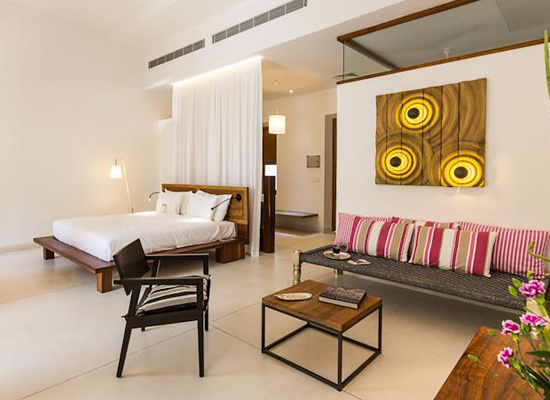 The airy, spacious villa is adorned in precious fabrics and furnished with contemporary designs made from old wood. 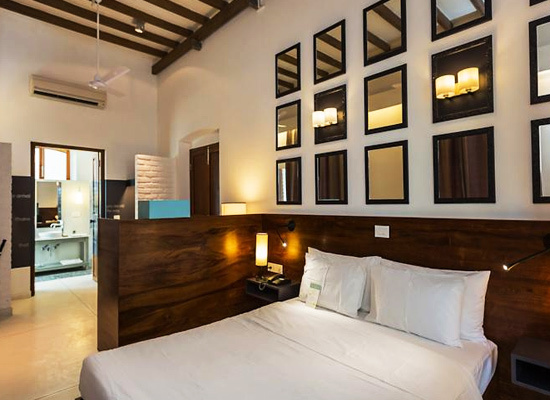 The rooms are quaint with modern fittings. The villa has pleasures of swimming pool, lush garden, French restaurants and a relaxing pace. 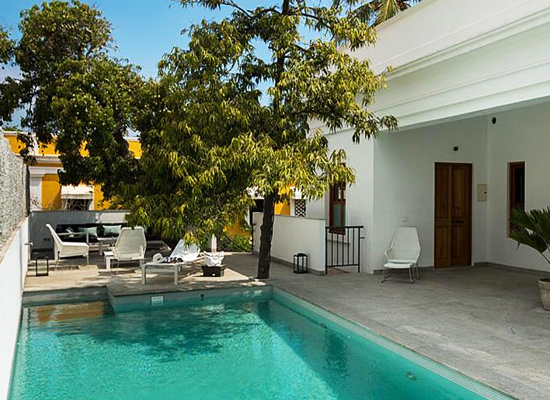 Indulge in the French charm of Pondicherry with a stay in the Villa. A Colonial building originally, the Villa Pondicherry has been renovated in traditional style and converted into an elegant hotel, catering to the accommodation needs of modern-day travelers.The small, yet comfortable Villa Pondicherry serves guests with traditional hospitality coupled with decent facilities and efficient services. The Hotel houses guestrooms off the central living room and offers pleasant accommodation in the elegantly appointed, spacious rooms which are tastefully decorated and fitted with contemporary facilities of comfort. 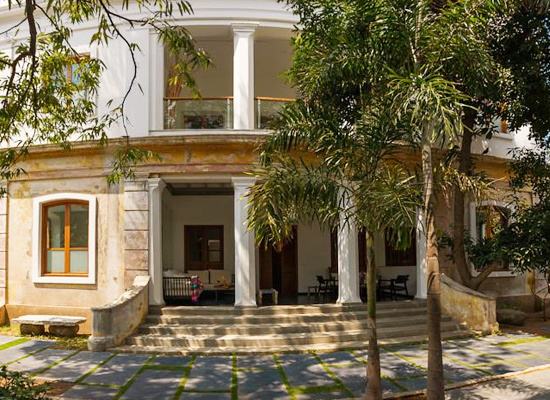 Villa Pondicherry is located in close proximity to various multi-cuisine restaurants. The hotel offers complimentary breakfast and beverages to guests. Pondicherry is a quiet little town located on the Coromandel Coast of the Bay of Bengal, at a distance of about 162 km. to the south of Chennai (Madras). Having remained the capital of the French colonies in India for quite some time since the 17th century, Pondicherry has managed to retain its French aura and the rich cultural heritage as is clearly evident through its well-planned roads, wide and vibrant beaches, tree- lined boulevards, colonial heritage buildings, and the spiritual scene.